When the members of Placer Gold Writers decided to publish their first book, they debated long and hard how they would accomplish it. A few suggested they attempt the traditional way of publishing: looking for an agent and/or finding an indie publishing house that would be interested in the book. The bolder members thought they should self-publish because of the research they had done for their own work. Ultimately, the members chose the second path. Eight months into the three-month project, the two editors began to realize that if they were going to the educational depth and experience of publishing "Through Button Eyes" — why not make it permanent? They figured the second and third anthology would be snap after all they learned from the first. 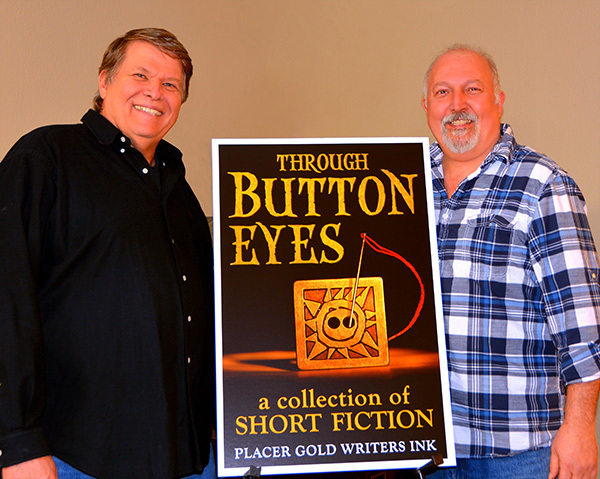 The dream was, after putting "Button Eyes" to bed, the editors would explore incorporating PLACER GOLD WRITERS INK so they could offer publishing opportunities for the PGW members' individual works, produce invitational anthologies and perhaps launch a literary magazine. Currently, the Placer Gold Writers Ink brand is focused on family-friendly stories arising from the artistic 'gold' we find in our Sierra Nevada foothills. They are exploring various genres and themes all centered on the "Gold Country". Please visit the Projects page to see what PGWI is working on now. Placer Gold Writers Ink is an imprint of Placer Gold Publishing.